This is a graphical ftp client program. It’s easy to install and to use. If you are a web master and you use ftp client frequently, gftp is a good alternative. If you are an administrator for a website, there are few most used FTP clients available on the internet. Filezilla is one of them. 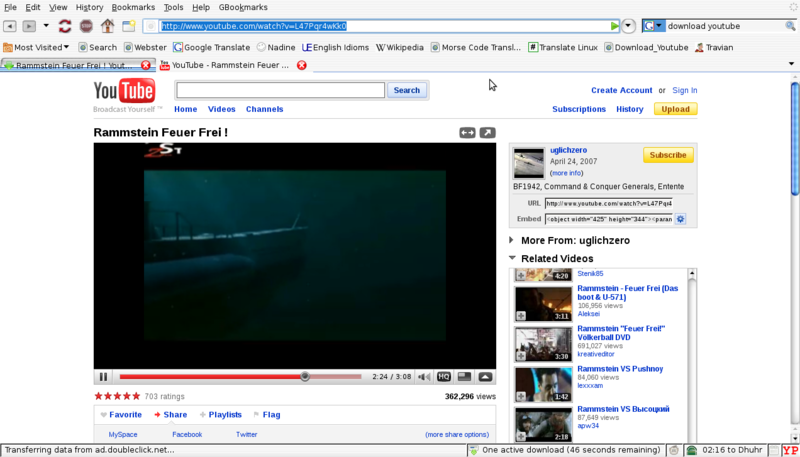 Filezilla is the linux port for the famous FTP client for Windows. It’s fast and reliable graphical FTP client with lots of useful features and intuitive interface. Need to get 5135kB of archives. After unpacking 15.0MB of additional disk space will be used. Selecting previously deselected package filezilla-common. Selecting previously deselected package filezilla. Open Application > Internet > Filezilla. To use this tool, I assume that you have basic knowledge with ftp client program. As you can see from the my screen below, there few sections. On the top is the command line and response from the destination server. Left top is your local directories and Right Top is remote site directories. 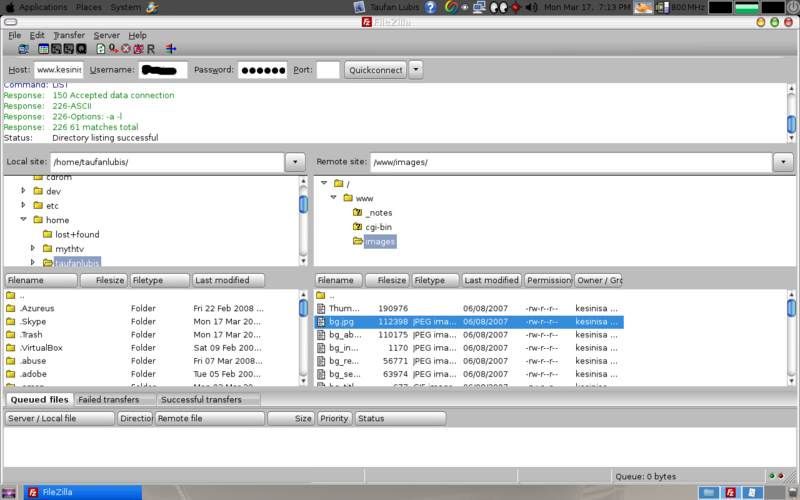 Left lower section is your local files and Right lower section is remote site files. The bottom section is file transfer status. You can drag from local to remote site or from remote site to your local directories.